With most people upgrading computers every few years there is a requirement to transfer email between computers. In addition, email clients become obsolete, and so it is also necessary to move/transfer email between email clients e.g. move from outlook express to windows live mail. 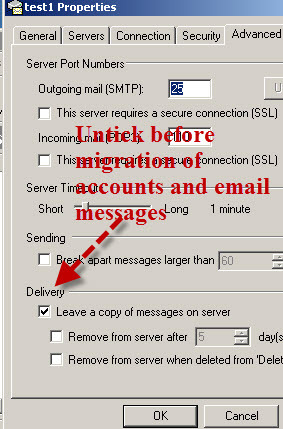 Note: If you are moving or transferring windows live mail to a new computer running windows live mail see this tutorial. Although I’ve been using the terms move and transfer, I prefer the term transfer, as a move implies that we delete the old email in the process, which we don’t. However if you are going to trash the old system it is a good idea to delete sensitive information from it. In this tutorial we will look at how you transfer Outlook Express Email to a new Computer and to a new email client (Windows Live Mail). With Outlook Express it is necessary to move to a new email client because Outlook express is no longer supported on Windows Vista and above. and three steps on the new computer. However not all steps may be necessary. The method works regardless of the email provider (Yahoo, Gmail ) you are using with outlook express. In addition the procedure can be applied to any email move between computers. If you are using POP3 with the leave email on Internet option enabled then you should disable it before you export the account details. 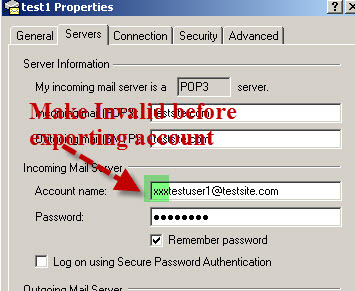 For Both POP3 and IMAP4 accounts it is a good idea to make the account invalid before exporting. I do this by adding a simple prefix to the account name.The reason I do this is that it allows me better control when I import the accounts as I can control when they connect to the server. Highlight the email account you want to transfer and then click export. Select the location for the export file (.iaf file) to the desired location. Select the text file csv format and give the file a meaningful name, then click the browse button to select the directory on the desktop to store the file. The default fields are enabled, you can check any other fields that you want to export and click finish to export the address book. You cannot use the export messages feature of outlook express unless you want to export the messages to Outlook or Microsoft Exchange so we need to do this manually. 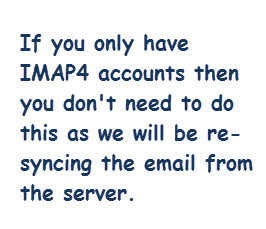 If you only have IMAP4 accounts then you don’t need to do this as you can re-sync the email from the server. However exporting them will mean that you don’t need to wait for the resync on the new computer. If you have POP3 accounts or a mixture of POP3 and IMAP4 accounts then you need to do this step for the POP3 account. 2. In the Options window, click on the Maintenance tab. Folder…” and click on it. 4. A small window will appear that is named “Store Location”. This is the path that leads to the location of your Outlook express data files. You will need to navigate to this folder that holds your OE files highlight the folder in my case called outlook express, right click and copy. Place a copy of the folder in the folder on your desktop. 6. Now copy this folder onto a memory stick and take to the new computer. This video covers the import of account information, contacts and messages. It also covers the both POP3 and IMAP4 email accounts as they are treated differently. Not all messages/message folders are moved. Duplicate messages are created in the new mailbox. Long delays for mailbox synchronisation. Moving Messages or Downloading Them Again? In Some cases you will have email available on the email server, as well as the email client. If you are using IMAP4 to access your email then all of you email (received,sent,deleted) will be on the server. If you use POP3 with the leave email on server option enabled then your received mail will also be on the server, but not your sent/deleted messages. If you are using IMAP4 then you can choose not to transfer the email to the new computer, but allow the new client to download it again from the server. This is the method I use for small mail boxes!. The main problem with this is that the download/synchronisation can take a very long time if you have a large mailbox. However you don’t need to synchronise all messages. It is far easier to move email if you use Webmail or IMAP4 rather than POP3 to access your email,. If you are currently using POP3 and will need to transfer to a new computer in the future then you can upgrade your POP3 account to IMAP4 See Change from POP3 To IMap4. Q- How do I know if I’m using POP3 or IMAP4? A- On your email client go to your email account and look at the properties. If you see an IMAP tab then the account is using IMAP otherwise it is using POP3. Q- I’m using IMAP do I need to synchronise emails to the new computer to read them? A- No synchronising emails keeps a local copy so you can access them off line. If you don’t need off line access then there is no need for a local copy.